Stop wasting your time with manual data entry, getting rid of duplicates, and constantly being unsure if you're accidentally sending prospecting emails to existing customers. Let us handle the boring stuff, so you can do what you do best. Transforms in Parabola work the same way every time. Fears of accidentally overwriting data or missing a step can become the relics of the past they deserve to be. Parabola is as powerful and flexible as code, but anyone can use it. 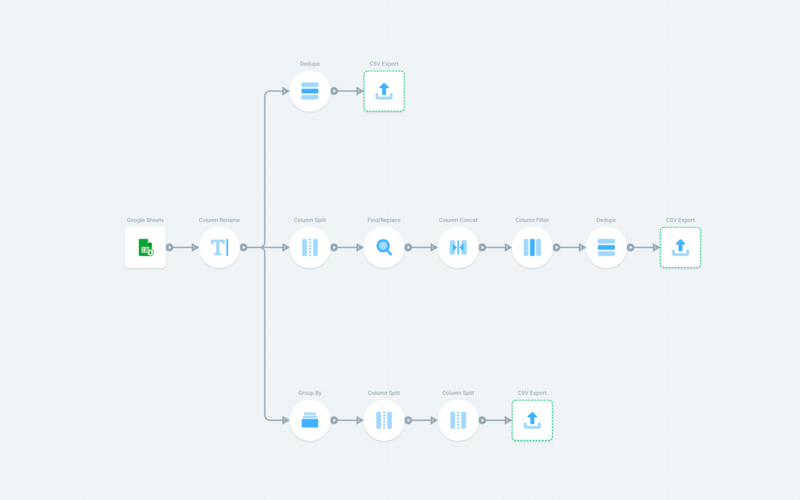 Create flows that update data in your CRM or access APIs like Clearbit all via drag-and-drop. 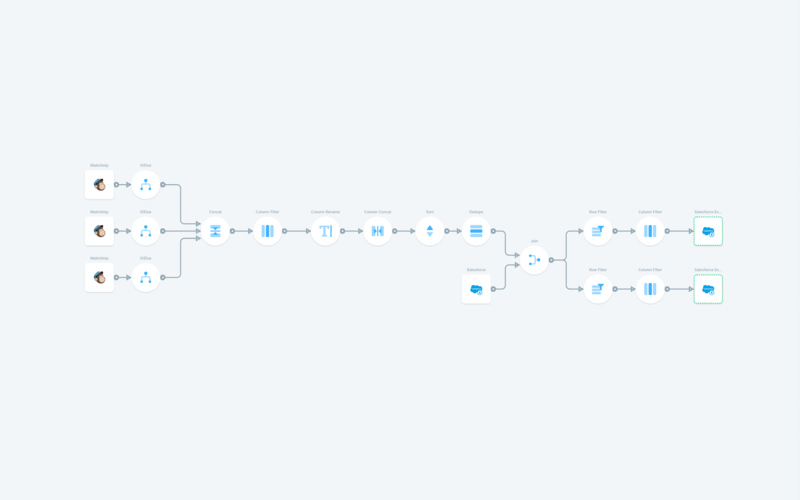 Your flows run on our lightning-fast cloud servers so that your engineers don't have to be involved. Increase the throughput of your sales machine. 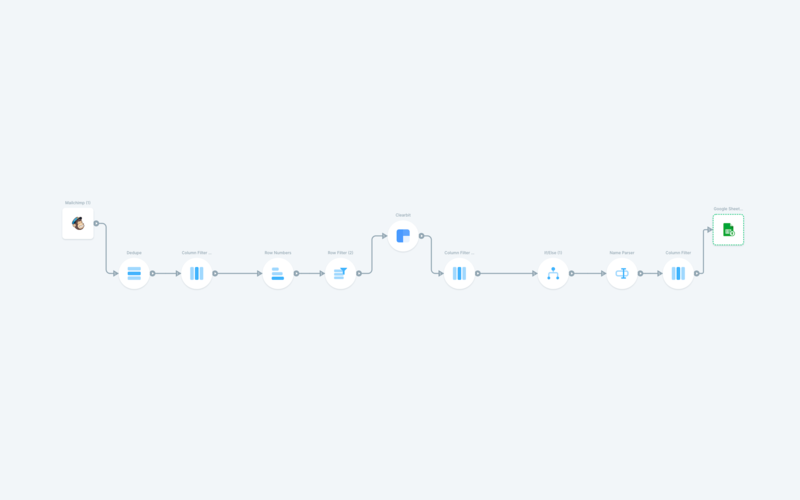 Let Parabola prep all of your data so you can send more emails and close more leads, without having to hire another SDR. Use simple or complex rules to find and clean duplicates in an email list to ensure that the right people hear your message, and do not hear it twice.